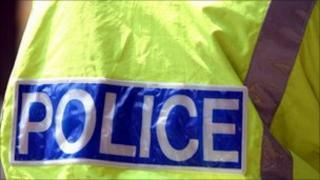 Police plans to shut down web domains believed to be used by criminals are to be debated in public. Nominet said the decision to form the policy discussion group was taken as the original proposal from Soca generated so many responses. At the time, Nominet said it wanted to create a "balanced group of stakeholders" that would talk over the policy and its implications. Soca said its proposal emerged from work it undertook during 2010 to shut down websites used to sell fake goods or which were engaged in other criminal activity. A decision on who will be in the group will be taken by 2 March, said Nominet, and it is expected to have its first meeting later that same month. A summary of the issues involved has been prepared and will be sent out to group members prior to the first meeting. Nominet added that the decision to form the discussion group was part of a broader plan to make its oversight of .uk more consultative. As well as a policy group on the Soca proposal, Nominet is also convening one of the practice of "expired domain tasting". This group will debate whether domain registrars can make money or analyse traffic to sites that are defunct.